Euonymus scale is a tiny, sap-sucking insect that infests the stems and foliage of Euonymus. This insect has a soft flattened body that is covered by a shell or scale. 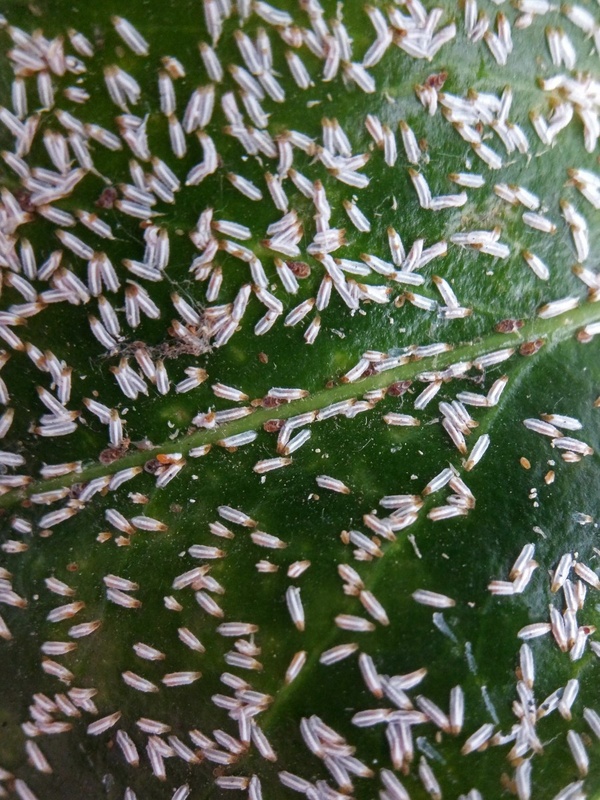 Male and female Euonymus Scale Insects differ in appearance. 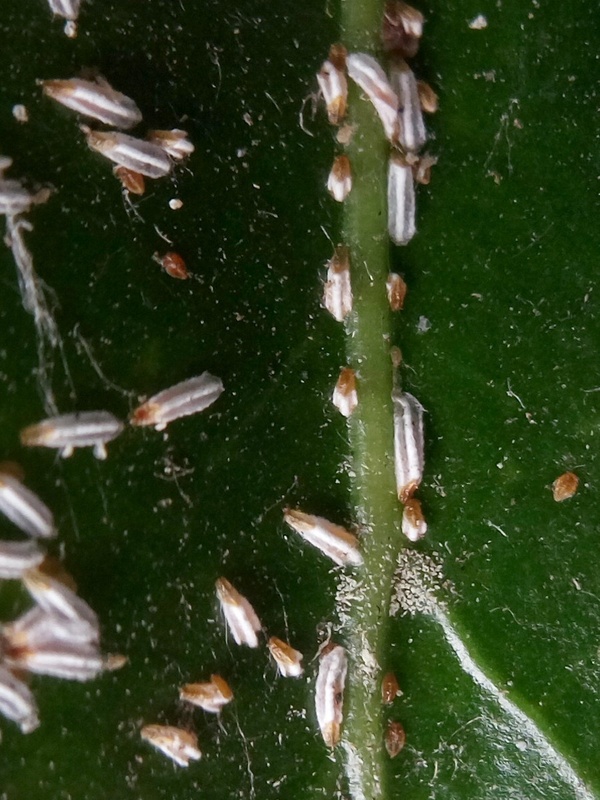 The males are mainly on the foliage and are covered with narrow white elongate scales that are 2mm long. 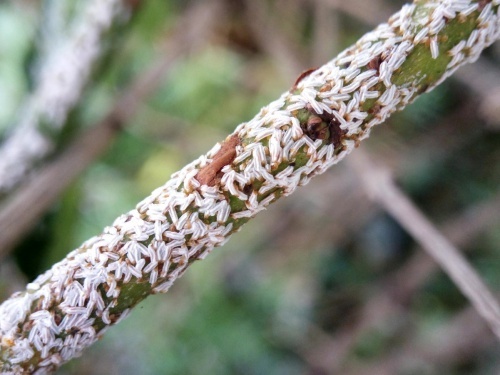 The females mainly occur on the stems and are covered with blackish brown pear-shaped scales up to 3mm long. Where the host plants occur. The most susceptible host plant seems to be Euonymus japonicus but other evergreen and deciduous spindles can also be attacked. It became established in Britain on the south coast of England during the 1950s. 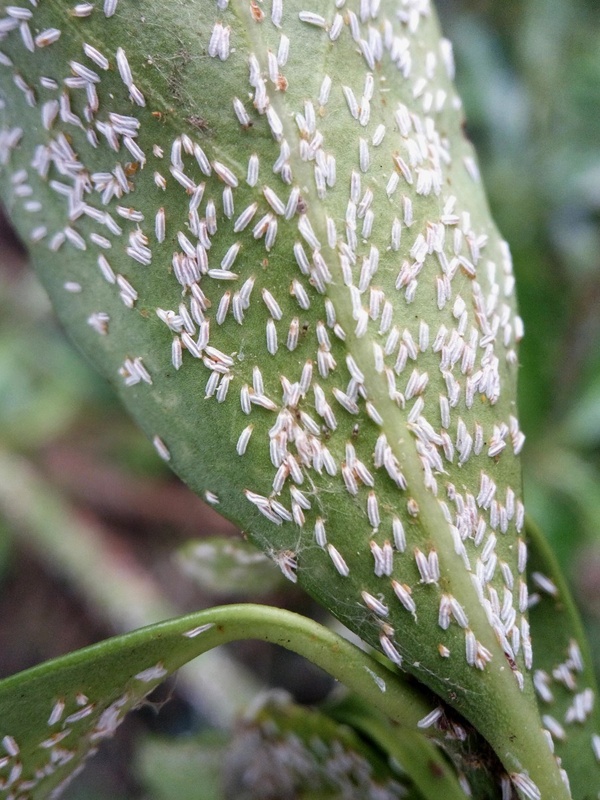 It spread along the south and east coasts but is now increasingly being found in gardens throughout England.